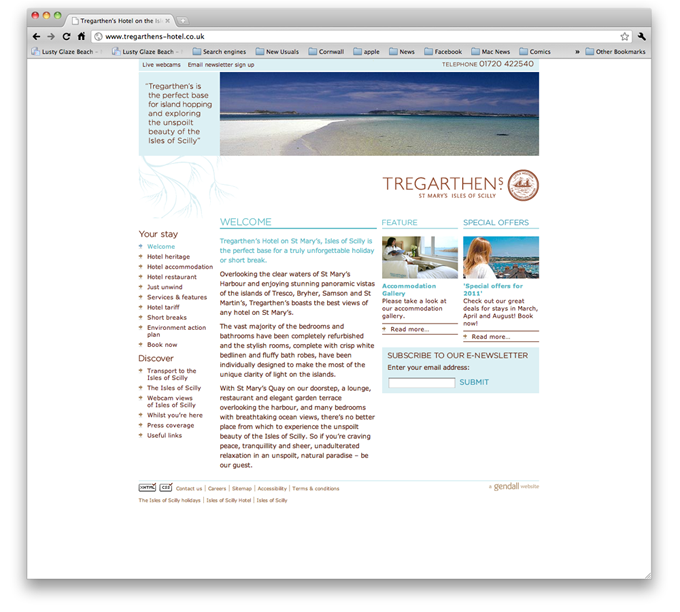 Tregarthens Hotel is situated on the extraordinary Isles of Scilly. During the season of 2010 it wanted to see if it could extend the website’s exposure in the quieter autumn off-period by using the very targeted approach of PPC advertising. The results have been an increase in traffic but, most importantly, all traffic by the end of the season was specific to the client requirements and, due to the nature of the campaign, saw advertising click rates of over 20%; the highest Design Web Consultancy has ever achieved for a leisure based campaign.